New studies show that dependency on WiFi has outgrown consumer dependency on smartphones, and with more appliances beginning to integrate this element into their technology, it’s no surprise to see WiFi top the list. Now, you can change the lights, turn on the oven and change the heating at the touch of a button, whether you’re in the house or out of the house. Smart homes are now all the rage and the appliances that we stock here at Lambert Welch Kitchens are becoming the next rung in the ladder to full home automation. Here, we’re taking a closer look at what WiFi appliances are set to hit the market and what they can truly do for you. Bosch have already begun to create a number of washers and dryers which are able to be controlled by a tablet or smartphone through their Home Connect feature. All of the washing can be done remotely so you no longer have to wait until you get in for the washing to be done. You can set push notifications on your tablet to give you an update on the wash, such as how long is left and the temperature of the wash. You can choose each and every setting and have your wash ready for when you walk in the door so all you have to do is switch it to the tumble drier. Convenient and time-saving, remote washing and drying is the new stage of innovation in WiFi appliances. Staying in control of some of the most mundane things in life can be time-consuming, but with the help of WiFi appliances, you no longer need to miss a beat. If you have a habit of forgetting to close the fridge door, then you can find a smart fridge which will be able to send you a push notification as soon as you walk away to remind you that you’ve left the fridge open. Now, there’s no reason for you to accidentally leave the fridge open during the day, leaving your food to spoil. Are you tired of going to the shop without a list, and wondering what you actually have in your fridge while you’re in the shop? With a smart fridge, you no longer need to worry. Some smart fridges have internal cameras which can give you a glimpse of each shelf so you can see exactly what is in your fridge, when you’re in the middle of the supermarket. Unsure if you have enough cloves of garlic for the family-size Bolognese you want to whip up tonight? No need to fret, just simply pull out your phone and check! Further to this, your smart fridge can even provide you with information about where is best to store each type of food, depending on how cold each part of your fridge is. No more spoiled food, and no more unhygienic habits! Are you a fan of entertaining guests who love great coffee, but you’re not exactly a skilled barista? We all know that there are coffee machines out there with pods that can give you the taste of one of the big brand coffee stores, but what if we told you that some coffee machines can be automated and controlled by your phone? Now you don’t need to disappear into the kitchen for 10 minutes while you make an array of different coffees. Simply take out your phone, place your order and your coffee machine will work its magic, meaning all you have to do is pick up the coffee and bring it in. There are a huge number of WiFi appliances that offer you are more streamlined experience in the home. Smart home automation is only going to get bigger, so jump on the trend now! 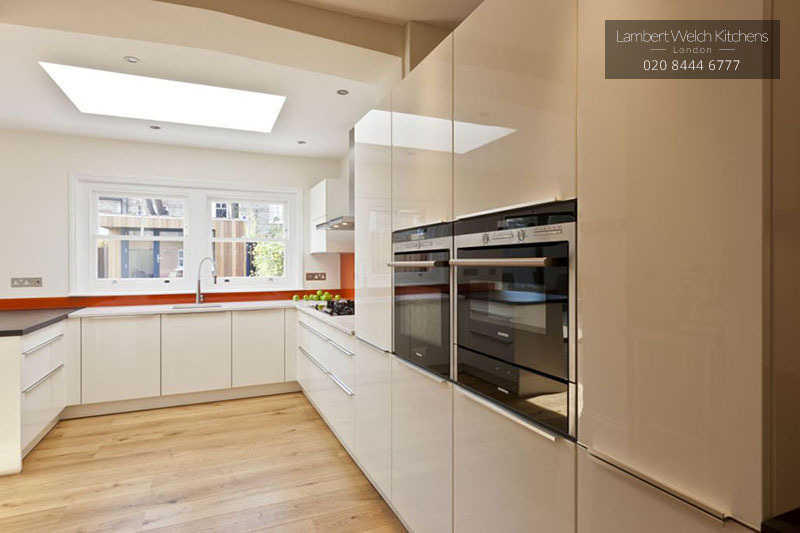 To find out about some of the smart home products that we have available here at Lambert Welch Kitchens, get in touch! Please submit this form to unlock the full list of this Winter sale prices.